I first tasted this tart, many years ago, in my very good friend A’s house and she kindly sent on the recipe which I subsequently mislaid. Fortunately, because I enjoyed it so much, I had scribbled down the ingredients on a scrap of paper when I was staying with her and reading the ingredient list jogged my memory about the method. I think the original recipe is an Antonio Carluccio one. I normally bake my pastry blind but as my oven needs fixing – the dial sticks at 160°C when I turn it on (note to self: you really, really need to get this fixed) I experimented with a long cooking time and no baking blind but I found the pastry a bit too soggy; next time I would bake the pastry case blind so I have included that in the method below. Here’s the recipe; you may baulk at the mini mountain of tomatoes required but they are all needed. 2 tablespoons of Dijon mustard – use less if you prefer. A little beaten egg for sealing the pastry case. 1. Make the pastry by putting the flour and the grated cheese into the bowl of a food processor and blitz briefly, then add the chopped butter and blitz again until the mix resembles fine breadcrumbs. Add the beaten egg and pulse until the pastry begins to come together – empty the mix into a bowl and use your hands to bring it fully together. Wrap the pastry in cling film and refrigerate it for at least half an hour. 2. Remove the pastry from the fridge and allow it to come back to room temperature. It’s a very difficult pastry to roll so it is easier to break off small chunks and use your fingers to mould each small piece into a 26 cm flan tin until the bottom and sides are full covered (don’t worry about the lumpy look of the pastry). Put the pastry shell in the fridge for half an hour. 3. Remove the pastry case from the fridge brush it with some beaten egg and bake it blind for 15 minutes at 190° C.
4. Remove the leaves from the sprigs of thyme and put these plus the tomatoes, the olive oil, the chopped chilli and the crushed garlic into a large bowl. Stir a few times to mix everything together but go gently so as not to break the tomatoes. .
5. Spread the mustard over the base of the half-cooked pastry case then tip in the tomatoe mix and pop the tart in an oven that has been reduced to 150°C. Cook for one hour – keep an eye on it as you may need to cover it loosely with foil if the pasty is browning too much. The tart is nice served with a tossed green salad. Enjoy! Thank you c for the compliment on the image. That’s a great tip about sprinkling breadcrumbs on the base of the tart – thanks for passing it on. I am not (unbelievably!) missing my glasses of wine. But the real challenge will be giving up coffee for the last week of the month on Thursday so I better savour tomorrow’s cup of coffee #CaffeineVersioinOfTheLastSupper. I started to cut back a week ago to just one cup a day and that’s been ok so I am hoping I can manage no coffee for a week without crawling up the walls. I think all my favourite cafes all serve herbal tea – I will find out for sure from next Thursday! I am so glad it’s just a week. This really looks delicious. You have a very nice blog! Thank you so much for sharing your recipes! Thank you very much for visiting my blog and for the nice compliment. I think I’d miss my coffee too ! oh and the wine…. 🙂 Lovely simple recipe, and I like celia’s suggestions of adding breadcrumbs, clever girl that she is ! The tart looks wonderful. I could quite easily go for ever not drinking wine, but I don’t think I could give up coffee and I loathe herbal tea. Thank you. Yes I feel the same – wine is easier than coffee to give up. And like you herbal tea is not my thing – so I will be counting the days from tomorrow to the 1st of December when I can next have a cup of coffee. They are and it takes such a short time to train or retrain them. Wishing you today a very Happy Thanksgiving – enjoy the holiday. 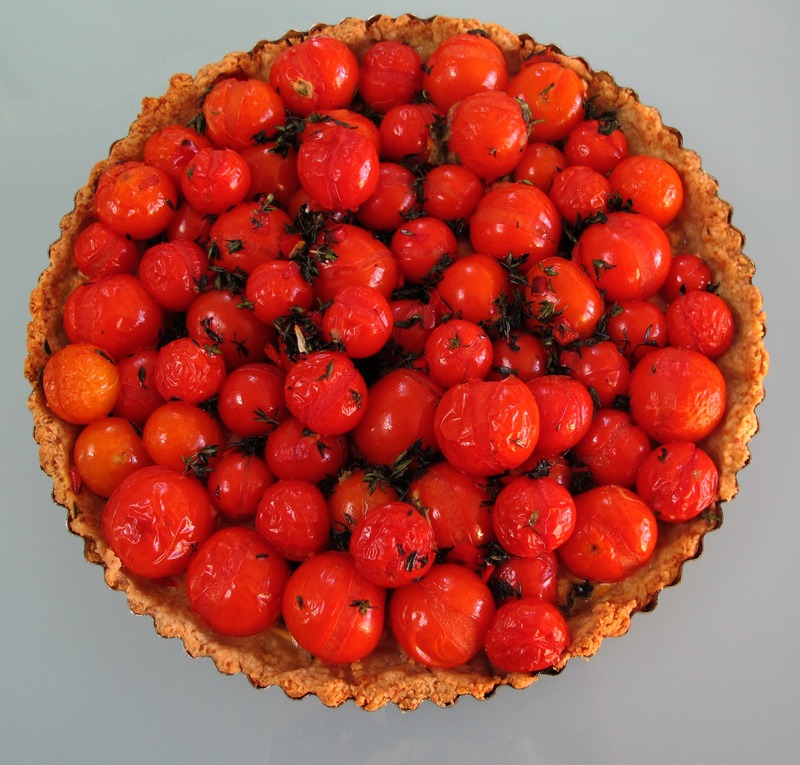 What a gorgeous and vibrant tart! This is on my list. 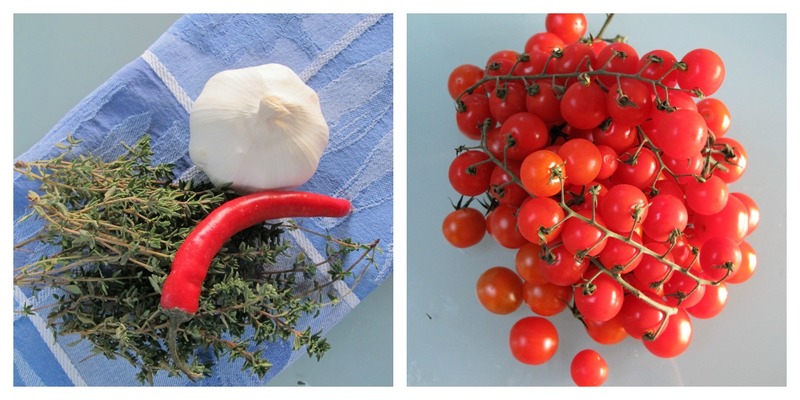 Tomatoes are my favourite food – and you are from Dublin? I have never been to Ireland – and am going in September. Cannot wait! I am a McKinney and will be spending 4 weeks – hope I can cover most of the personality of this incredible country in that time.